Giana is little girl who was diagnosed with a rare and relatively new disease called Loeys-Dietz Syndrome – a genetic disorder that affects the connective tissue in the body. Giana suffers from twisted arteries throughout her body. The Make a Difference Foundation provided airfare and hotel for travel to The John Hopkins Medical Center in Maryland and met with medical professionals specializing in Loeys-Dietz Syndrome, including a personal meeting with Dr. Dietz whom the disease was named after. Trevor was diagnosed at less than one-year old of Krabbe disease – a rare, inherited degenerative disorder of the central and peripheral nervous systems. 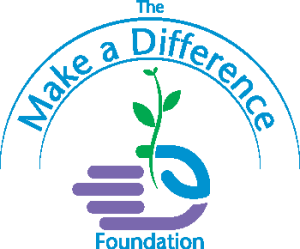 The Make a Difference Foundation has been instrumental in the creation of the Peace, Love & Trevor Foundation with the primary mission to raise funds to support other Krabbe families – including a fundraising event, Cheer on the Chargers, which raised more the $16,000 to start the new foundation. Luke was born with Mobious Syndrom, a rare neurological disorder which primarily affects the cranial nerves which prevents the movement of the face. The Make A Difference Foundation sponsored Luke and his family to travel to Colorado to meet with medical professionals specializing in Mobious Syndrome to discuss the most current treatments for this syndrome. They also had the opportunity to meet with other families of children suffering from the same disorder and coordinate a support group.